The Filipino audience embraced the thrills and comedic antics of Columbia Pictures' Jumanji: Welcome to the Jungle, hurling the comedy adventure to the No.1 spot of the box-office with a 7-day opening weekend of a roaring P115,275,439. The Dwayne Johnson blockbuster now holds the record for the sixth biggest opening for a Columbia Pictures title, bested only by, in descending order, The Amazing Spider-Man 2, Spider-Man 3, Spider-Man: Homecoming, Spider-Man 2, The Amazing Spider-Man. 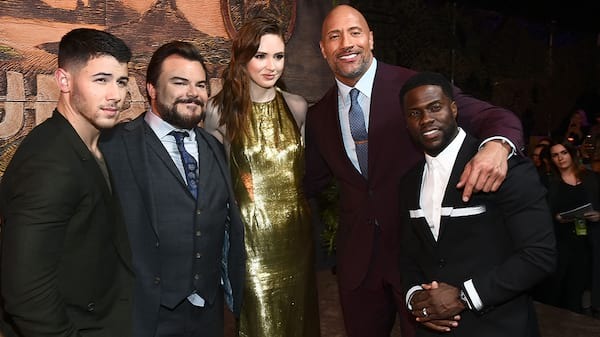 Welcomed by local critics with superlative reviews, Jumanji signals a great year-starter for Columbia which still has potential hits Insidious: The Last Key, Venom, The Girl in the Spider's Web, and Spider-Man: Into the Spider-Verse for the rest of the year. 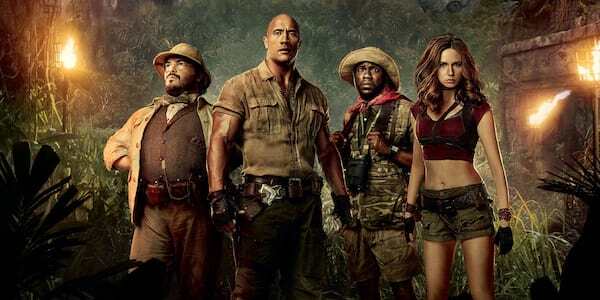 Internationally, Jumanji has crossed the $300 million mark and has totaled over $262-M in the US after only 24 days of release. The film has a 75% certified fresh rating on Rotten Tomatoes, echoing the moviegoers' warm response to the actioner. In the Philippines, Welcome to the Jungle opened in 243 screens, with SM Mall of Asia (P4.19-M), SM North EDSA (P3.61-M) and SM Megamall (P3.14-M) getting the proverbial lion's share of sales. Close to their heels are Trinoma (P2.5-M), SM Cebu (P2.31-M), SM Clark (P2-M), Glorietta 4 (P1.93-M), SM Baguio (P1.61-M), Powerplant (P1.5-M) and Greenhills Promenade (P1.47-M). Also high in the rankings are Gaisano Davao (P1.41-M, SM Seaside (P1.38-M), SM San Lazaro (P1.28-M), SM Fairview (P1.26-M), Alabang Town Center (P1.22-M), SM Dasmarinas (P1.19-M), Bonifacio High Street (P1.18-M), Robinsons Ermita (P1.145-M), Greenbelt 3 (P1.142-M), and Robinsons Magnolia (P1.13-M). Closing out the Top 30 theaters are SM Southmall (P1.11-M), SM Aura (P1.1-M), Fisher Mall (P1.08-M), Gateway Cineplex (P1.07-M), Uptown Place (P1.03-M), Market!Market! 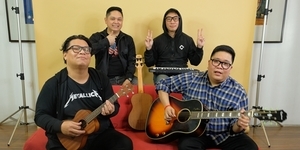 (P1.011-M), Harbor Point (P1.01-M), SM Lanang (P994,644), Shang Cineplex (P985,763) and Eastwood (P956,149).